Research has confirmed it: smart HOA money management is important to property values. For example, recent study on the “Impact of Reserve Fund Strength on Home Values” was particularly revealing. It found that among comparable condo associations in demographically similar neighborhoods, the sale price of units in communities with a strong reserve fund averaged 12.6% higher than the sale prices in underfunded communities. This means there is a direct correlation between reserve fund strength and property values. But despite the connection, over 70% of association-governed communities nationwide are underfunded. This is just one example of the connection between HOA money management and property values. But it got us thinking. Let’s look at few practical ways that sound financial management practices – including reserve funding – can help your HOA keep property values high. Poor management can compromise pride of ownership and homeowner satisfaction. This can easily lead to lower property values, as unsatisfied homeowners often tend to slip on the maintenance. Similarly, great HOA management can increase homeowner satisfaction, leading to a positive effect on pride of ownership and better home values. But well-managed communities don’t happen by accident. Well-meaning board members and managers often get caught up in petty matters involving people, pets, and parking. But by focusing more on critical elements such as the financial health of the association, your community can increase homeowner confidence. When homeowners feel secure in how their HOA dues are being managed, they take more pride in their community. And as you know, pride of ownership always correlates with better curb appeal and higher property values. Heck, with that pride of ownership, those issues with people, pets, and parking might take better care of themselves, too. Running an association often calls for industry-specific expertise. However, volunteer boards can’t be expected to know everything. That’s why HOAs form strategic relationships with experts such as attorneys, property maintenance companies, and insurance agents. The same logic suggests managers should seek the advice of a qualified accountant as well as a reserve specialist. These experts can provide valuable guidance on HOA money management and reserve funding practices. Good financial health will ensure financial resources are in place for a rainy day, as well as the ongoing maintenance that affects property values. Where necessary, embrace annual assessments. There is usually an optimum amount to collect in annual assessments to maximize curb appeal, eliminate deferred maintenance, and fund reserves. These funds can be used to update an outdated lobby, fix a broken entry gate, or refresh peeling paint. All of these will leak money in the form of lower property values, but are easy to fix if you have the cash flow. Slightly higher HOA fees or annual assessments will amount to hundreds of dollars per owner per year. But with proper management, those assessments will be rewarded with improved home values, amounting to thousands of dollars per owner per year! The takeaway? Don’t give into the ‘penny-wise and pound foolish’ temptation of keeping annual assessments too low. In the long run, this is sure to be detrimental to property values. Poor budgeting and underfunding reserves will inevitably lead to disruptive and divisive special assessments. A history of unsettling (and avoidable) special assessments raises a red flag about the board’s budget policies with buyers. This creates an environment of distrust and resentment, often leading to a bad reputation among savvy realtors®. These agents will either keep buyers away altogether, or recommend lower offers. In contrast, property values are maximized when reserves are built up fairly, accurately, and steadily over time. Generally speaking, reserve funding should equal the pace of the ongoing deterioration of the common area. This ensures that funds are available when reserve projects come due. For most homeowners, housing is their single largest investment. 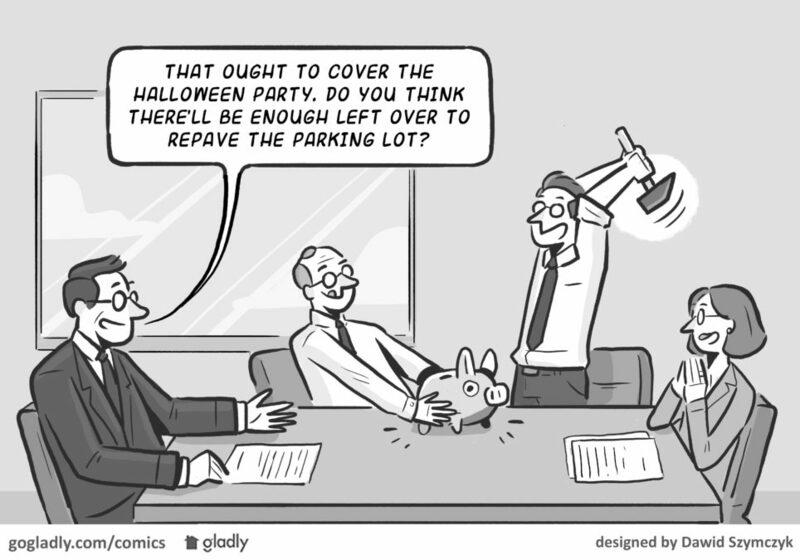 You can keep them happy by using wise HOA money management practices. This includes sound budgeting, wise annual assessments, and seeking good financial advice. In doing so, you can make a positive, lasting impact on property values. My HOA is making a significant purchase ($40,000) without seeking a second quote. Is there a national accounting recommendation that a second quote should be made on all purchase above a certain level?